Spanish-rail.co.uk is no longer available here. Please try renfe.spainrail.com instead. In line with EU rules designed to prevent natural monopolies, management of Spain’s national railway system is split into infrastructure and operations. State-owned company ADIF manages infrastructure, while Renfe (full name Renfe Operadora) operates most of the nation’s freight and passenger trains. The original Renfe company was founded in Spain in 1941, but this was succeeded in 2005 by ADIF and Renfe Operadora (still commonly known as Renfe). Renfe operates over 12,000 km of railways (7,500 miles) in Spain, of which some 7,000 kms are electrified. Along with Portugal, Spain uses wide Iberian-gauge track (1,668 mm) as well as standard gauge, metre gauge and narrow gauge. The metre-gauge track as well as some narrow gauge is run by Renfe Feve - a division of Renfe Operadora. Renfe’s high-speed AVE network, which eventually aims to connect with other European countries, is built on standard-gauge track. This is known as "European gauge” locally, since most of Central and Western Europe uses it, as does much of the wider world. 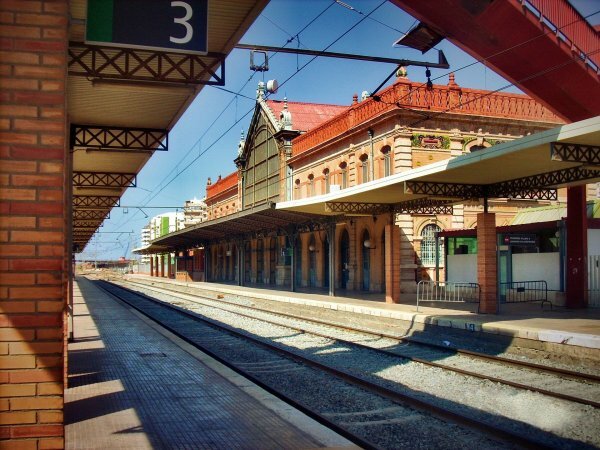 Many travellers enjoy train travel in Spain and the service has a reputation for modernity and efficiency. 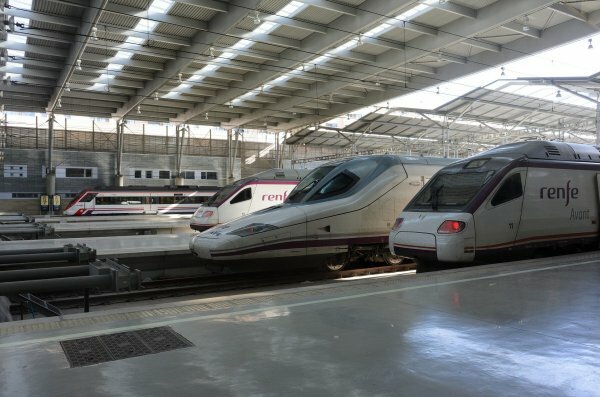 The 300 km/h high-speed AVE service allows rapid connection between major Spanish cities. Renfe also runs the Alaris regional rail network, which runs between Madrid and Valencia as well as Barcelona and the Valencian Community. Alaris trains can maintain a 200 km/h speed. A commuter rail division of Renfe called Renfe Cercanías operates in many of Spain’s metropolitan areas, including Bilbao, Madrid, Seville, Valencia and others.